There is no need to visit any shop or store to recharge the airtel mobile. 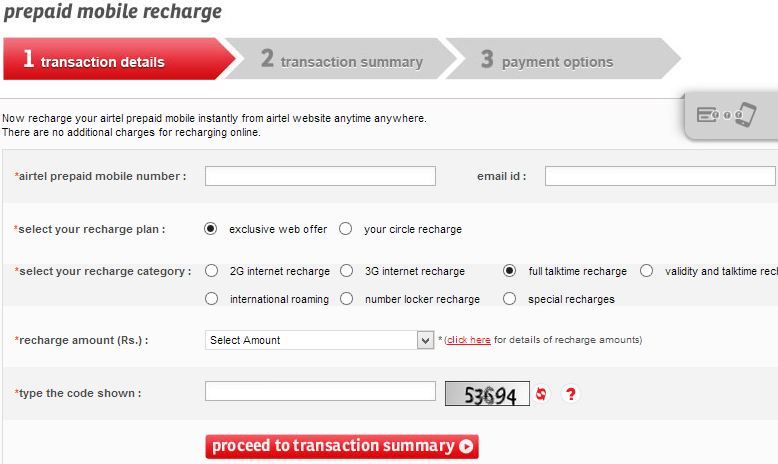 We can recharge airtel mobile using airtel website. 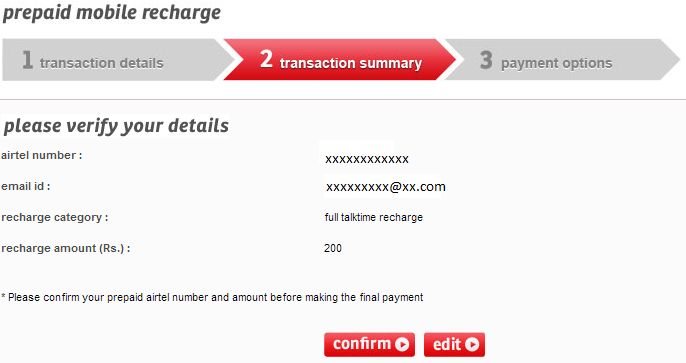 This will take hardly 2 mins to recharge the airtel mobile. Airtel mobile recharge service provide the flexibility to recharge the airtel mobile using different options like- Credit Card, Debit Card, Internet Banking and airtel money. Click on "Click Here" link in front of prepaid mobile in recharge section. 2. Fill the details and select the amount in next screen. Now click on "proceed to transaction summary" button. 3. Now verify your details in next screen. Click on "Confirm" button for payment. 4. Now select your payment options. 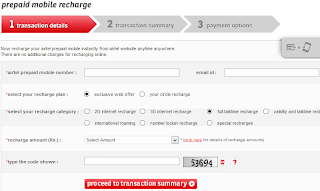 click on "Pay" button, you will be transferred to corresponding payment gateway. After completing the payment,Shortly you will get the balance on your mobile.